Hi Friends, Oriflame has completed 45 years in its worldwide business. Since the launch, Oriflame has helped people all over the world to earn millions of dollars. It was 15 years ago that Oriflame was launched in India to give an opportunity to average people to earn extraordinary commissions. I remembered the time I joined, and what it felt like when I got my first cheque. It was just Rs 2000. In 1 year time I reach Senior Manager level and doubled my income that I was getting from my salary! If its possifle for me, anyone can do it. Moreover, Mrs Singh will support you. She is based in Lucknow. 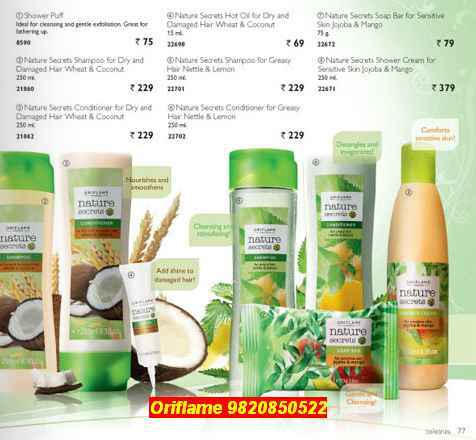 To join Oriflame as a dealer in Lucknow just SMS me your Name, Address, Date of Birth, Email on 9820850522.